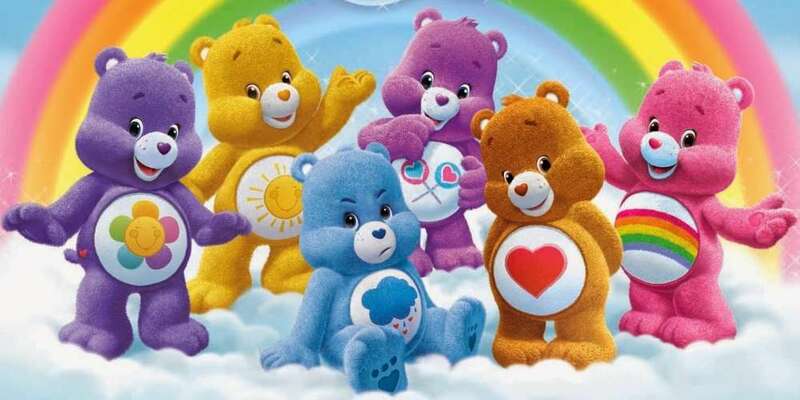 Since their first appearance in 1981, the Care Bears — those adorable yet annoying band of cheerful teddy bears with symbols on their bellies representing dominant personality traits — have appeared in numerous animated TV shows, movies, comics, video games and, of course, as plush toys. 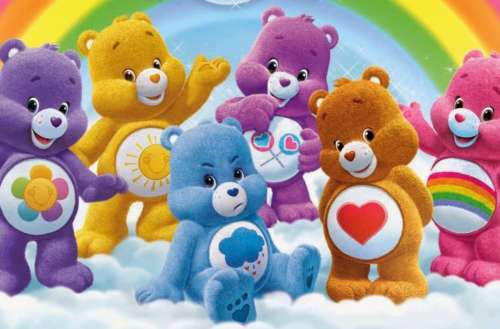 But it turns out that one of the 10 original bears — Funshine Bear, the yellow bear with a smiling sun on its tummy — has been proclaimed by some as a trans Care Bear, because his gender seems to have shifted from female to male over his film and TV appearances. In fact, if you look at Funshine Bear’s Wikipedia entry, you’ll see that his character was voiced by women from 1985 to 1988 and again from 2004 to 2007. But from 2007 to the present day, Funshine Bear has been voiced by men. To be fair, this is also the case with the green Good Luck Bear, the blue Champ Bear, the yellow Birthday Bear, and the light blue Bedtime Bear and two of the Care Bear cousins (developed in 1984 and 1985) including Cozy Heart Penguin and Noble Heart Horse. The truth is that lots of animated cartoons have their male characters voiced by women. (Bart Simpson, for instance, is voiced by a woman named Nancy Cartwright.) Women typically have higher-pitched voices than men, which explains this phenomenon. But voice actors aren’t the only reason some people consider Funshine Bear a trans Care Bear. There’s also the fact that Funshine Bear was originally conceived as a female character but is now listed as male. 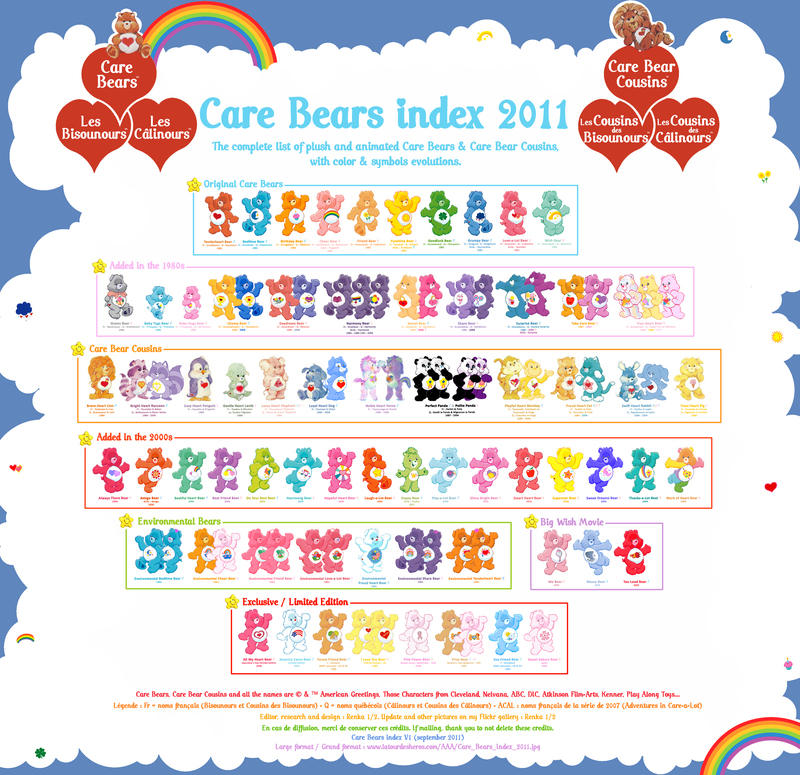 A 2011 index of all the Care Bears lists Funshine Bear as female when he was created in 1981, but Funshine Bear’s Wikipedia entry lists his gender as male. Even Funshine Bear’s page on the official Care Bears wiki shows that he was once regarded as female from 1983 to 1988 and has been identified as male from 2002 on. The same goes for a handful of other Care Bear and Care Bear Cousins. One trans Tumblr user also says Funshine Bear’s Wikipedia entry used to list his gender as “Female, later male.” Interesting Secret Bear and Lotsa Heart Elephant are both currently listed in Wikipedia as “Male, later female” — so perhaps there’s more than just one trans Care Bear. Human rights writer Koriander Bullard wrote an entire history on genderqueer Care Bears that explores their existence even more. Keep in mind, Wikipedia and the Care Bear wiki can both be edited by its users, though they’re both moderated by other senior users. So its possible users simply proclaimed these characters as trans and genderqueer as a way of noting the characters’ shifting gender throughout their existence and as a way of acknowledging gender-fluidity while increasing trans visibility in a children’s cartoon. Either way, it’s pretty cool. What do you think of Funshine Bear? Is he a trans Care Bear?